TORONTO -- Ontario Real Estate Association President Tim Hudak skirted questions about the organization's feud with the Toronto Real Estate Board on Tuesday and instead stuck to the lack of affordable housing in Toronto, an issue which has previously irked the city's board. "We want to make sure that great Canadian dream of homeownership doesn't slip away from the next generation," said Hudak, at an event OREA to unveil a Ryerson University report it sponsored. The report said millennials -- those aged 15 to 34 -- in the Greater Toronto and Hamilton area are living with their parents longer as they struggle to find affordable houses. The findings support OREA's recent campaign, which aims to address the dearth of moderately priced housing, but has also upset the province's largest real estate board enough to voice concerns that it could "have psychological consequences for consumers and could provoke further unwarranted negative government intervention." Earlier this month, TREB sent a letter to OREA, saying it has "serious trepidations" about the message and its focus on Toronto and wants OREA to stick to its mandate to promote the province's housing market as a whole. "It is naive to suggest the dream of home-ownership is dead or dying. It's alive and well in every Canadian city and beyond. To state otherwise is misleading to the consumer," TREB president Tim Syrianos wrote in a letter obtained by The Canadian Press to OREA President David Reid. OREA and TREB have said little about their skirmish, but released a joint statement saying the letter is "not reflective of the long standing and positive relationship" between the organizatons, and that they hope to resolve the discussions "amicably and internally." When asked about why OREA was continuing to focus on the Toronto market, Hudak said: "I think there is going to be universal support across Ontario, when I talk to our local 38 realtor boards, to tell you why everywhere I go they say inventory is a major issue." "There are not enough starter homes in the marketplace and baby boomers are a very healthy generation that are holding onto family homes longer," he continued. "The big lesson on this today is we need to increase housing supply particularly around starter homes and the missing middle." 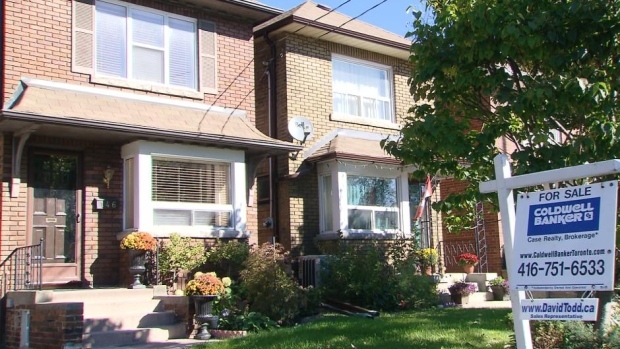 The missing middle refers to affordable so-called mid-rise homes such as townhouses, triplexes and duplexes that experts have identified as often lacking in the GTA. Hudak said he feels the opportunity to own a home is slipping away from many young people and now, the Ryerson report from Diana Petramala and Frank Clayton, researchers at the university's Centre for Urban Research and Land Development, puts the "academic weight" behind his feelings. "They've demonstrated clearly that millennials, unlike what some so-called experts say, do want to own a home someday and secondly, this will have a massive effect on the marketplace when 500,000 new millennial-led households come into play in the next 10 years, he said. "We simply don't have the supply to keep up." The report said there will be almost 700,000 millennials looking for their own home in the next decade, despite a limited supply, and a high number of baby boomers that are not expected to downsize "in a meaningful way" until mid-2040. Those market forces, the report predicted, will cause many to take on high debt loads and abandon the region's urban core in search of affordable housing, leading to longer commutes and more traffic congestion. That phenomenon coupled with high housing costs and lacklustre income prospects for millenials could make it difficult for the GTHA to retain talent, the study said.